1. ‘How To Get Away With Murder’ is one of the best shows in existence, its suspense is killing. 2. I’d have moved with my quiet passion to study law if only I knew I’d find it this interesting years later. 3. Viola Davis’ Annalise Keating is too emotional, she brings out those tears and catarrh with ease. 4. Wes Gibbons was so annoying, I think I’m happy he was the one that died. 5. I don’t know why Laurel reminds me so much of Elena from ‘The Vampire Diaries’, self-righteous wh*re. 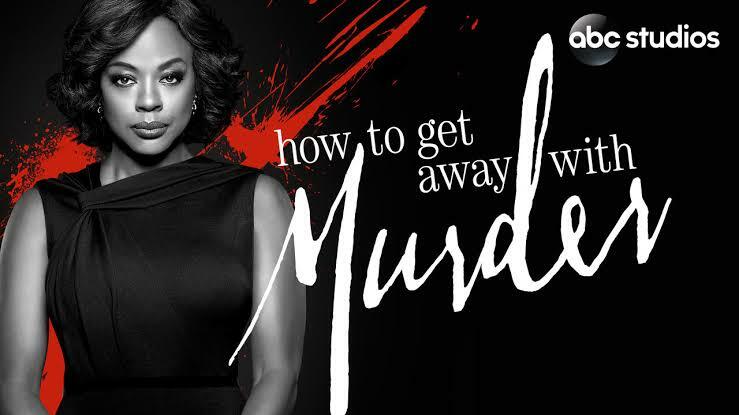 9 Thoughts I Had After Watching 'How To Get Away With Murder' s1-3. 6. Michela is so beautiful, , where on God’s earth did they get her from? 7. Frank Delfino, with the beards, on looks like the musical artist Jidenna; I can’t be the only alone who noticed that. 8. HTGAWM has made me interested in other things Shonda Rhimes has to offer – I’m a big Shondaland fan now. 9. I need more film productions the casts of the show has starred in, I just can’t get enough. Hollywood is at a crucial stage in its existence now. An uprising, per say, where sexual predators are the latest victims. On Oct. 5th 2017, an article published by the New York Times would start the trend by condemning Harvey Weinstein for decades of sexual predatory acts against co-workers he’d encountered over the years of him being a boss. Many people had come out to support the article’s claim, pointing accusing fingers, these and many more have led to Harvey losing practically all he’d spent his lifetime achieving. Yesterday, he world woke up to the news of another sexual predator, this time, in the person of Kevin Spacey (of the ‘House of Cards’ fame). Spacey is being accused by a certain Anthony Rapp of sexual misconducts on him as a minor, an act Lobby alleges occurred 30 years ago when he was 14 y/o and Spacey 26 y/o. 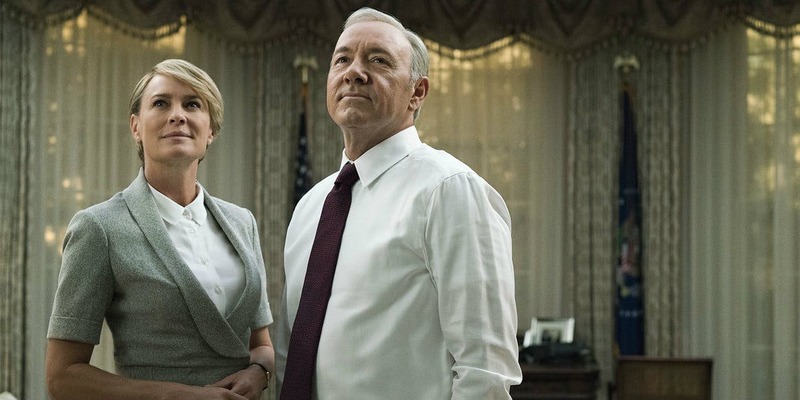 As it is now, Rapp has the sympathy of many Americans as can be deduced from Twitter’s reaction since yesterday, and the latest fallout in a case that’s been described as unsettling, is the unsurprising cancellation of ‘House of Cards’ by Netflix. The streaming powerhouse and everyone associated with Spacey would want to be at a reasonable distance from him as his life and career begins to fall apart – it’s called damage control. Funny enough, Spacey, yesterday, issued a note of apology for what and might not have happened 30 years ago, he also used the opportunity to come out to the world as gay, but I don’t think that card is working now, things are looking to get continually worse for him. I take one thing out of this recent mess in Hollywood, whatever you do today as you climb up the ladder, make sure to watch your back that it wouldn’t be enough to soil you in the future. Wow! That was all I had to say after watching episode 4 of Fox’s latest show, The Gifted’, the story’s pacing has been nothing short of excellent with action so electrifying you only want more. The Gifted has followed the lives of the Strucker family as they navigate their new reality, living in a world that hunts mutants of which their two children are. Recurring themes has been of family, fear, prejudice and sorts of things you’d expect from a full fledged XMen story; people fear difference. The action scenes have been nothing short of remarkable, decent for a production on a TV budget. In the pilot episode of the show, Polaris, the metal controlling mutant was arrested by the ‘Sentinel Services’ – the organization tasked with rounding up mutants around the United States; she and Mr. Strucker finally escaped with the help of the ‘Mutants Underground’. Did I mention that every scene with Polaris reminds me of Magneto. A combination of the various mutant heroes in ‘The Gifted’ to take down Pulse, a mutant who shuts down electronics and fellow mutants, played by Zach Roerig who I already miss from The Vampire Diaries, succeeded in depleting the biggest defense the Sentinel Services had. I, for one, expected to see actual sentinels in the scene, but probably for budgetary reasons they didn’t appear at all. Now that one part of the story has been taken care of, your guess is as good as mine where it’s headed now, wherever, I’m ready to follow. The Gifted airs Mondays on Fox. I finally came around to watch the newly Dynasty show aired on The CW, and I found it to be a decent show. Before its premiere, there were so many complaints about how the show wasn’t needed and how, judging by its trailer, it didn’t do justice to the original 1981 show that ran for 9 seasons, 220 episodes on ABC; well, now, I’ve seen it, and I can tolerate it. There was nothing wow, but I had vibes of ‘Gossip Girl’ which I loved so much, watching it. 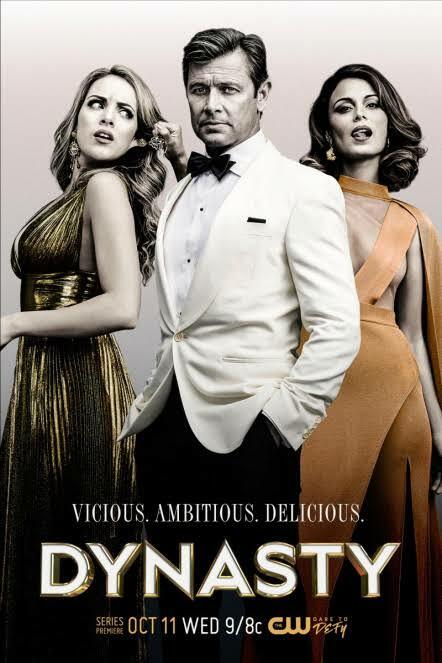 Dynasty is an American prime time television soap opera reboot based on the 1980s series of the same name. Developed by Josh Schwartz, Stephanie Savage, and Sallie Patrick, the new series stars Grant Show as Blake Carrington, Nathalie Kelley as Cristal Flores Carrington, Elizabeth Gillies as Blake’s daughter Fallon, and James Mackay as his son Steven. It airs every Thursday on The CW. There hasn’t been an actor (in this case, actress) as emotional in recent memory, to me, as Viola Davis. She is a rare gem. See, I recently started binge-watching How To Get Away With Murder, and all I see is raw talent that took Hollywood sometime to fully recognize. Davis holds her own 100% as the series lead, bringing so much depth and emotions to the character of ‘Annalise Keating’. Viola Davis (born August 11, 1965) is an American actress and producer. She is the only black woman to be nominated for three Academy Awards, winning one, and is the only black actress to win the Triple Crown of Acting. In 2012 and 2017, she was listed by Time Magazine as one of the 100 most influential people in the world. In 2001, she won the Tony Award for Best Featured Actress in a Play for her role as Tonya in the original production of August Wilson’s King Hedley II. Davis’ film breakthrough came in 2008 when her supporting role in the drama Doubt earned her several nominations, including the Golden Globe, SAG, and the Academy Award for Best Supporting Actress. Greater success came to Davis in the 2010s. She won the 2010 Tony Award for Best Actress in a Play for her role as Rose Maxson in the revival of August Wilson’s play Fences. For her lead role as 1960s housemaid Aibileen Clark in the comedy-drama The Help (2011), she received a nomination for the Academy Award for Best Actress among others, and won a SAG Award. Since 2014, Davis has played lawyer Annalise Keating in the ABC television drama How to Get Away with Murder, and in 2015 she became the first black woman to win the Primetime Emmy Award for Outstanding Lead Actress in a Drama Series. Her portrayal also won her two SAG Awards in 2015 and 2016. In 2016, Davis played Amanda Waller in the superhero action film Suicide Squad and reprised the role of Rose Maxson in the film adaptation of Fences, for which she won the Academy Award, BAFTA Award, Critics’ Choice Award, SAG Award and Golden Globe Award for Best Supporting Actress. Davis and her husband, Julius Tennon, are the founders of the production company JuVee Productions. Davis has starred in their productions Lila & Eve (2015) and Custody (2016). Davis is the second cousin of actor Mike Colter, who is known for portraying the Marvel Comics character Luke Cage. 1. Tobey McGuire’s Peter Parker/ Spiderman is still my favourite. If you don’t like it, go argue with your forefathers. 2. Tom Holland is decent as Spidey, but I want to see him grow up, he’s too teenage-y. 3. Life’s unfair. Tony Stark messed the world up in the ‘Battle of NYC’ and was also paid to clean it up by the government. This mirrors some real life events. 4. It was good to see Happy Hogan again. Google his image if you’ve forgotten him or what he looks like. 5. Robert Downey (Jnr.) was paid N50m to fan service a movie. Lord, locate me with the role of my lifetime. 6. As always, I can’t wait for MJ and Peter to get together. 7. I never realized I missed Pepper so much. For a while, towards the end of this movie, I felt like I was watching an Iron Man movie. 8. Aunt May’s reaction when she saw Peter, at the last scene of the movie, in his costume, was priceless. Ha-Ha! 9. How would you rate the movie? To me, it was decent. After six season of guarding the identity of his alter ego, Oliver has finally been ousted at the end of the S07 E01, possibly by Black Siren. While this is an important move on the part of the producers’ to marry Oliver the mayor with Oliver the vigilante into one, it sure will have dire consequences moving forward. I do blame the people of Star City for being dumb all these years, how hard could it be to ID the man. Deep down, I think they’ve always known, but choose to play pretend. Now that Oliver is doing good with the city job, as Mayor, I want to believe the populace will be more accepting of his secret double life, which wouldn’t be a secret anymore. This revelation has been a long time coming, the full consequences of this revelation can only be seen as they unfold. As usual, things will only get worse before they start to get better.